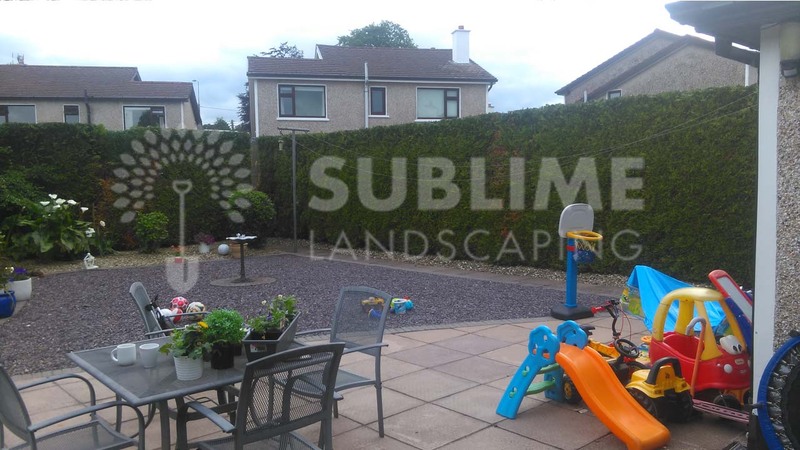 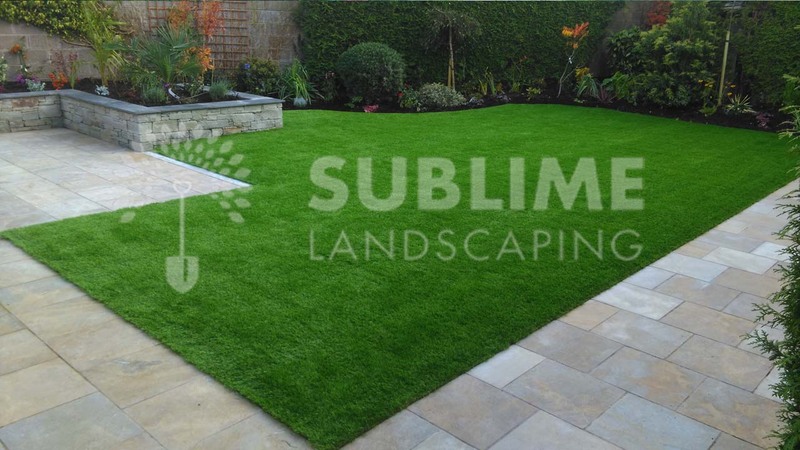 This client in Cork wanted a low maintenance designed landscaped garden, where their children could run around a play while they had an area to enjoy evenings watching them at play. 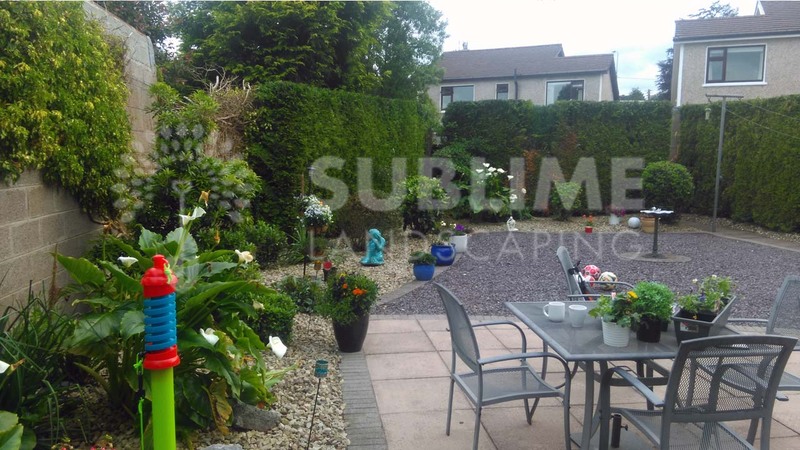 The client also had a keen interest in planting and requested good selection of colour all year around. 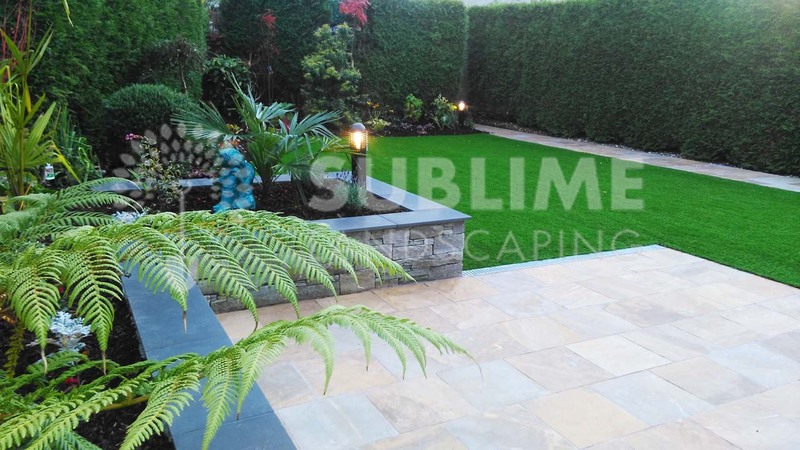 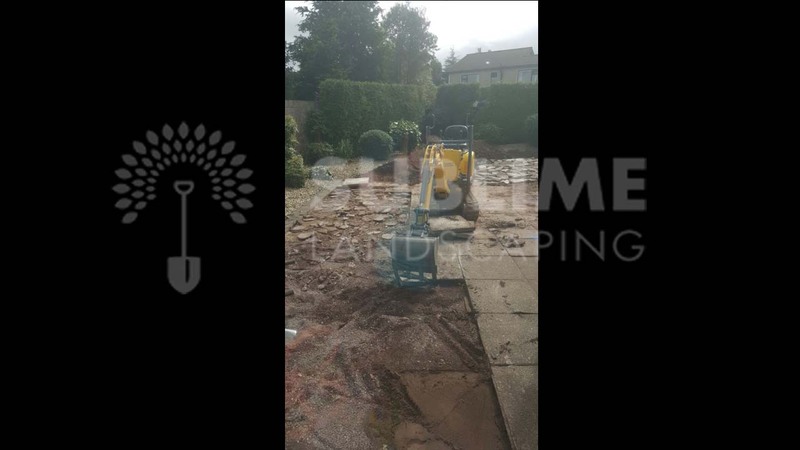 The project consisted of constructing a grey quartz raised sitting wall with dark capping, paving, artificial grass and replanting the majority of the site.